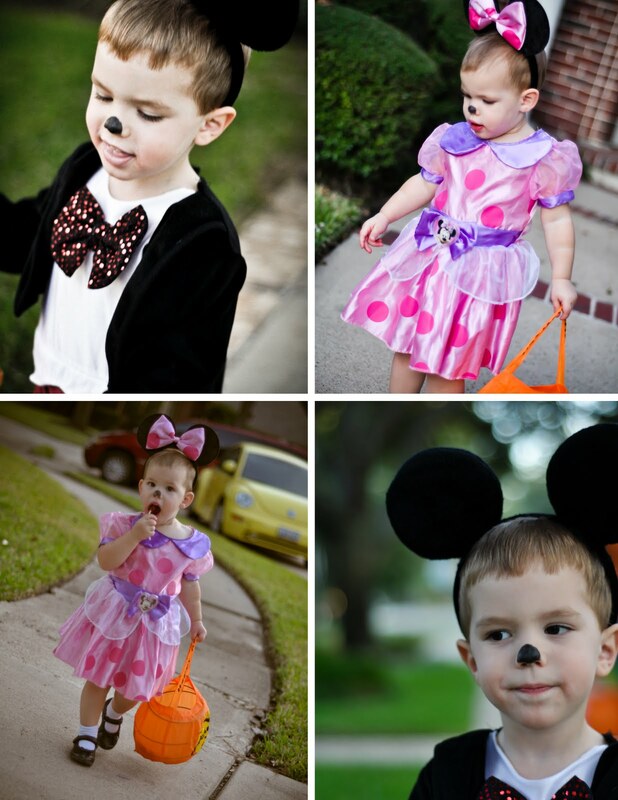 Jackson and Audrey had a great time trick or treating tonight! Here are a couple of pics, but there are lots more in the album. They also did some trick or treating at school today, so I'll try to work my way through those pics soon to get them posted. This week finally felt like fall in Houston, and it was perfect timing because there were lots of fall activities planned for this week. 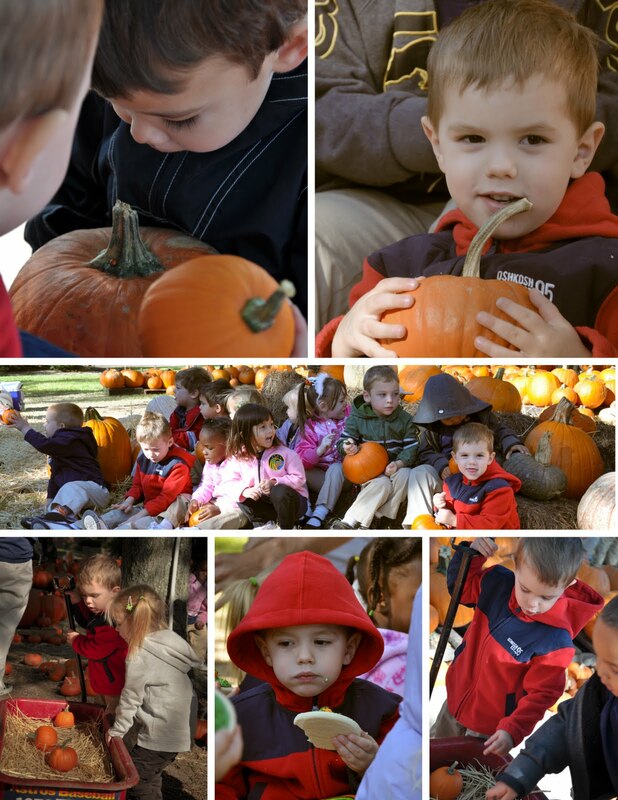 Jackson's class had a field trip to the pumpkin patch on Wednesday. The school's Fall Festival was on Friday. We went to the pumpkin patch as a family and carved our pumpkin this morning, and we went to a friend's Oktoberfest party this afternoon! The Fall Festival included games, face painting, sno cones and popcorn, and "scary hair". 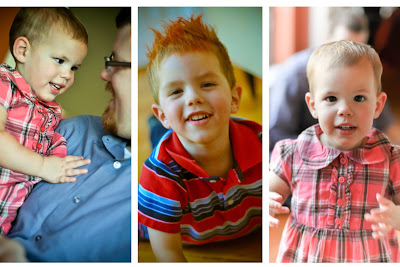 Audrey loved the sno cones, and Jackson loved having scary, orange hair. I didn't take my camera with me to the festival, but I took a couple of pictures when we got home. Some of the orange in Jackson's hair was already coming out, but you get the idea. Before the end of the night, there was orange dust everywhere, and their bath that night was a lot of fun too...orange water! Today we went back to the pumpkin patch to pick out the pumpkins for our house, and of course, to try to get some cute pictures, which you can find more of in the album. Jackson immediately spotted a bumpy pumpkin like the one from the story and decided that was the one he wanted to take home. He spent the rest of the time we were there carrying it around in a wagon. Audrey decided on a little larger sized pumpkin, and spent the majority of her time climbing around in the pumpkin patch. 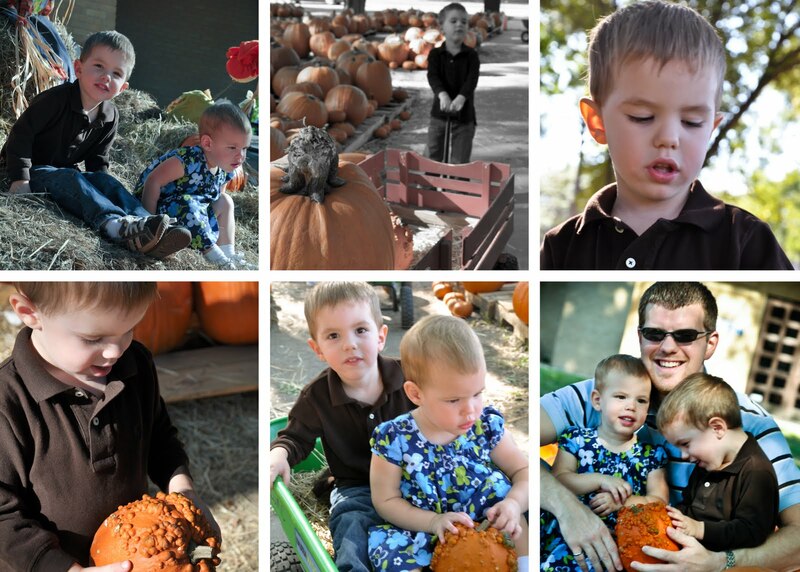 They both had fun climbing around in the pumpkins and playing with the wagons before we headed home to decorate our pumpkins. Jackson used stickers on his bumpy pumpkin, and we carved one for the family. This afternoon, we all had a great time at the Gerty's Oktoberfest party. I didn't take my camera, and it was nice to relax and visit with folks while the kiddos wore themselves out jumping in the moon walk, playing on the play set, and just running around. It was a great way to spend the day! 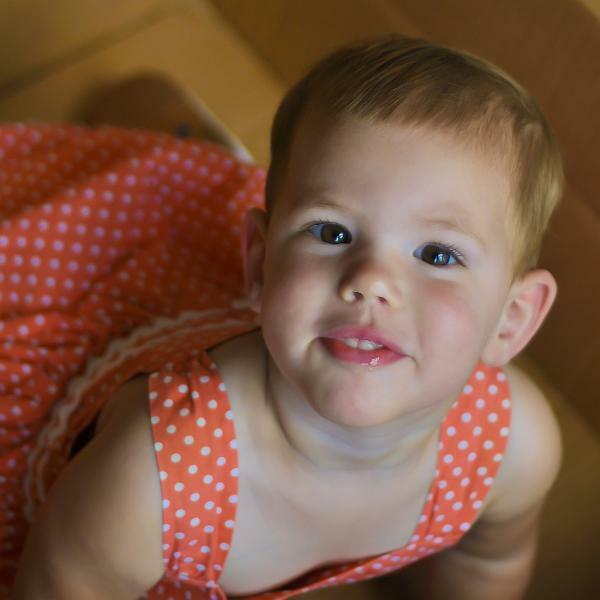 Audrey looked so cute dressed up for church this morning and was having so much fun playing in this box that I couldn't resist snapping a picture of her. Isn't she adorable! 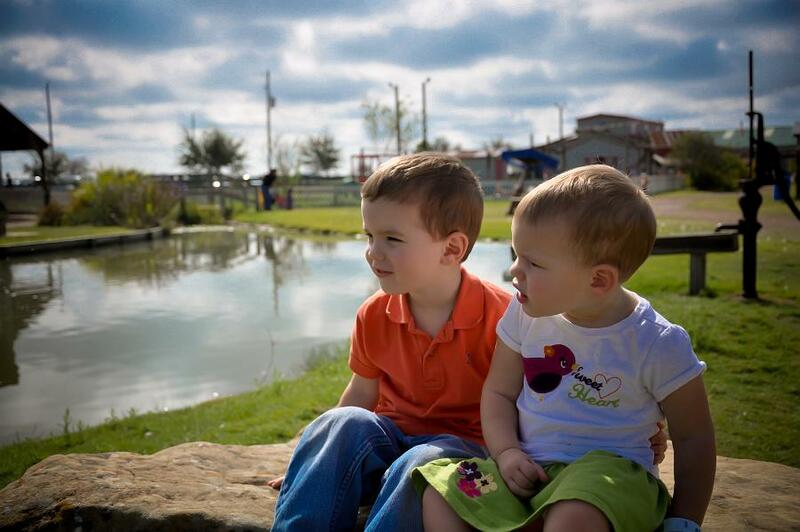 Jackson, Audrey, and I celebrated Columbus Day at Dewberry Farm with our friends, Emma and Clara. Ross was on his way to Canada, and Chris had to work. 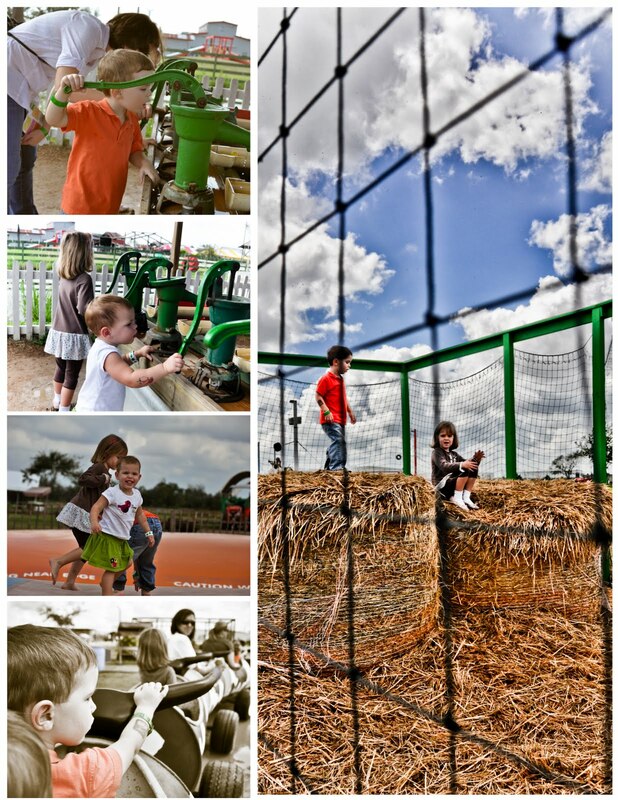 We, however, got to enjoy a gorgeous day on the farm! It poured down rain for the first time in many months the day before, which meant the temperature was nice and the ground was pretty soggy, but that didn't deter the kiddos. 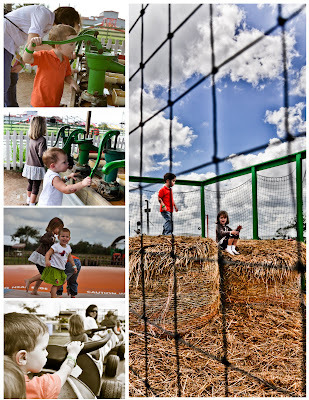 They had a blast checking out animals and playing around. Here are some pictures from the adventure. 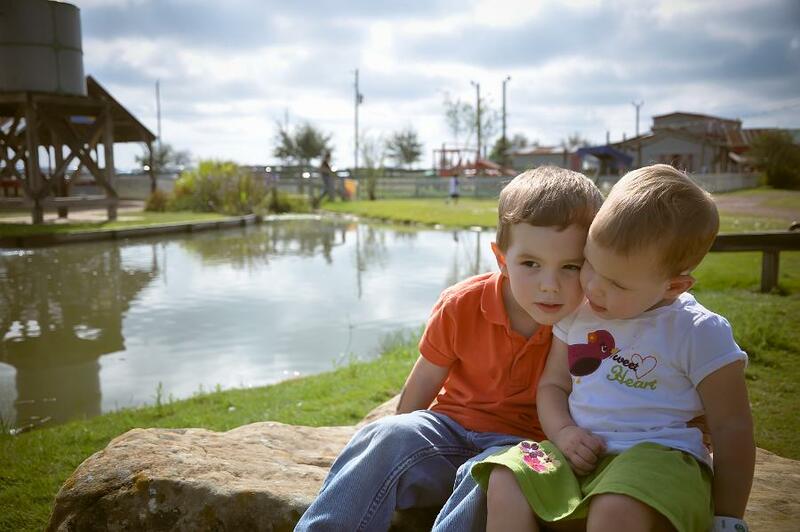 I really do think we have the sweetest kiddos on earth...most of the time. 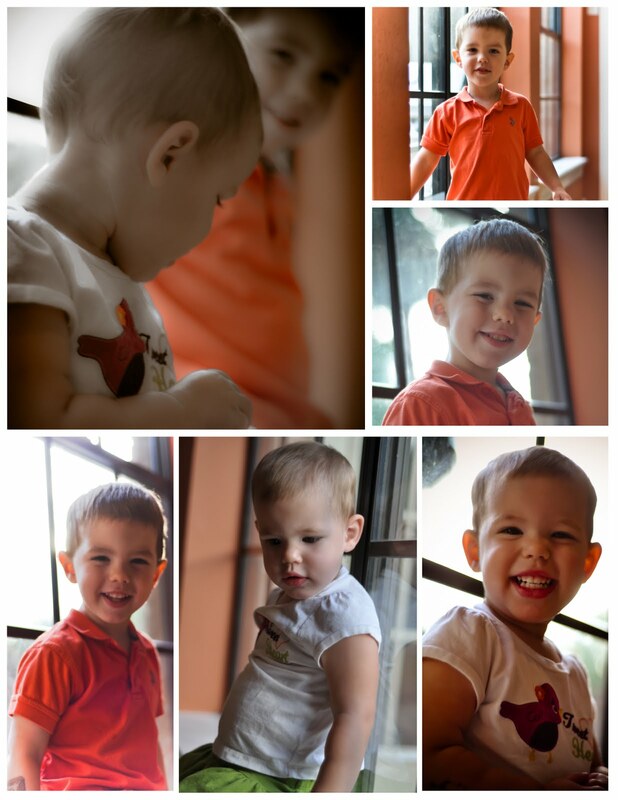 I also took a few pictures of JD and Audrey at home before we left. Of course, there are more in the album.